What if someone asks you today to quickly sound smart about how video games sold in November? Here's our monthly analysis cheat-sheet you can use in such desperate social situations. And this time, Kotaku gives you options. Just like BioWare. Before you read this analysis, open up some tabs or windows with McWhertor's NPD November U.S. hardware and software reports. We're doing Instant Analysis differently this time. Now you have options. Be sure to choose the correct one. Note that all numbers are plucked from the NPD group's U.S. sales charts. Fact: In 2007, Super Mario Galaxy, a 3D Mario game, sold 1.12 million copies in November (launched on the 12th) in the U.S.. In 2009, New Super Mario Bros. Wii, a 2D Mario game, sold 1.39 million in its November (launched on the 15th). 1) 2D is more popular than 3D? 2) So many more Wiis two years later didn't net so many more sales, so 3D is more popular than 2D? 3) None of this matters because Wii owners are an unpredictable lot and buy their games when they want to, not necessarily when release day hits. Fact: In 2007, Call of Duty IV: Modern Warfare sold 2.14 million on the Xbox 360 and PS3 in its first November (launched on the 6th) in the U.S.. The sequel, Modern Warfare 2 did 6.07 million on those same two consoles in its first November (launched on the 10th). 1) Modern Warfare is an out of control juggernaut, a beast set to trample all contenders. 2) So few other games came out this past month compared to November 2007 that gamers were stuck - just stuck — buying MW2. What else were they going to buy? 3) Once in love with a gaming franchise, consumers show up on day one. Fact: In 2007, Assassin's Creed sold 1.6 million copies on the Xbox 360 and PS3 in its first month (launched on the 14th) in the U.S.. 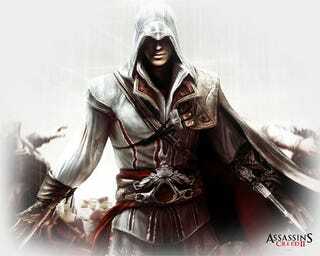 In 2009, Assassin's Creed II sold 1.2 million copies in its first month (launched on the 17th). ... All of which doesn't exactly explain Ubisoft saying its second Creed was selling more quickly in its first week, worldwide, than its first. 1) Uh, oh, Ezio? With more consoles in the market and better reviews, the new game not outselling the first out of the gate in America is a problem that can possibly be blamed on the mixed word of mouth received by the first entry? 2) The ever-important Italian-American user-based was split, wooed over to Mario from ACII's Ezio. 3) The 360 fans have beef with this series, as they bought 185,000 fewer copies of the new one in November '09 than they did of the first one in November '07, while the PS3 community bought 71,000 more. Fact: Left 4 Dead 2 sold 80% better on the Xbox 360 in its first month this year than its predecessor did last year (The games launched on the 18th in '08 and the 17th in '09). 1) Gamers want Valve to start cranking out annual sequels. 2) Zombies are more popular now than they were last year. 3) Internet complaints/petitions against hasty Valve sequels don't count (though, you'd craftily add, who knows about how well the game performed on PC). Notable new releases that failed to make the overall software top 10 (With no console or handheld version selling more than 315,000 units in the U.S. by November 28): Style Savvy (November 2), Lego Rock Band (November 3), Shaun White Snowboarding: World Stage (November 8), Call of Duty: Modern Warfare Reflex (November 10), EA Sports Active More Workouts (November 17), Resident Evil: The Darkside Chronicles (November 17), Tony Hawk Ride (November 17).